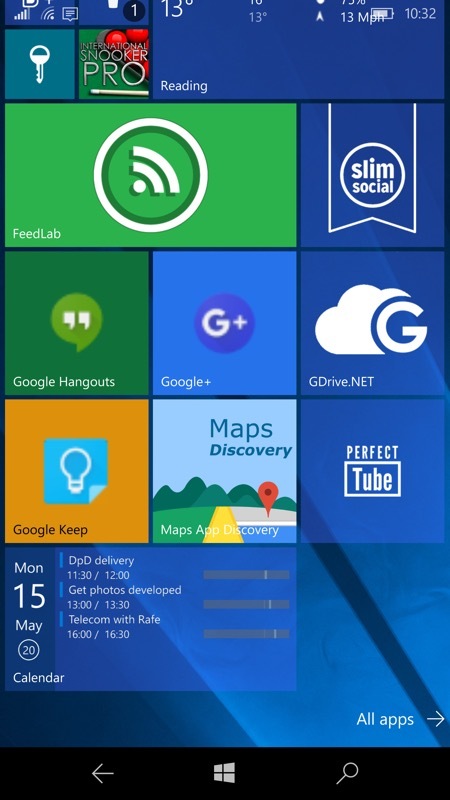 The default Calendar live tiles in Windows Phone have never been that spectacular, which is why a number of third party replacements have arisen. And now, for the Windows 10 Mobile world, here's another, with Tiles for Outlook doing a good job of extending Outlook Calendar's tile ambitions, with multiple format options and multi-event lockscreen integration. 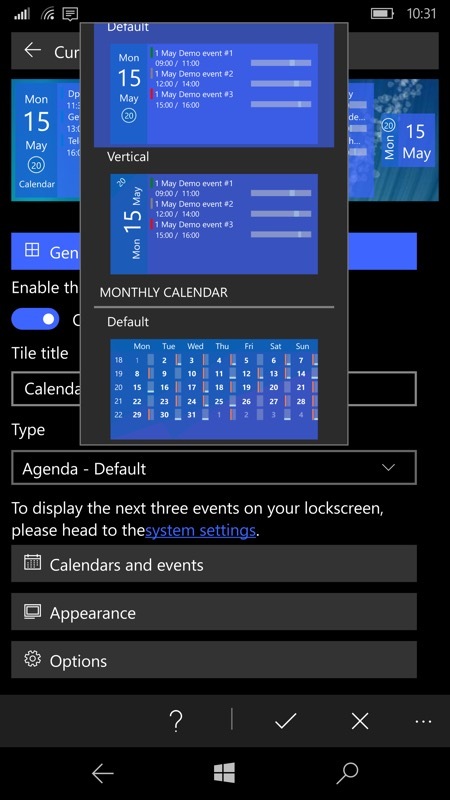 Tiles for Outlook is a tool allowing custom Live Tiles creation for the official Windows Calendar (named Outlook Calendar on mobile) application. Customize the birthday "cake picture"
Outlook Calendar tiles replacement (launches Outlook when clicked). Just a single hierarchical dialog to configure the live tile options, but it's all self-explanatory on the whole... (right) just a few default live tile types, but you can fiddle with your own layouts and colours if needed. Note the month option - this is handy as a ready reference but it's not that useful in real life since it's so small - we never did get triple-wide and double-height tile options, Microsoft! 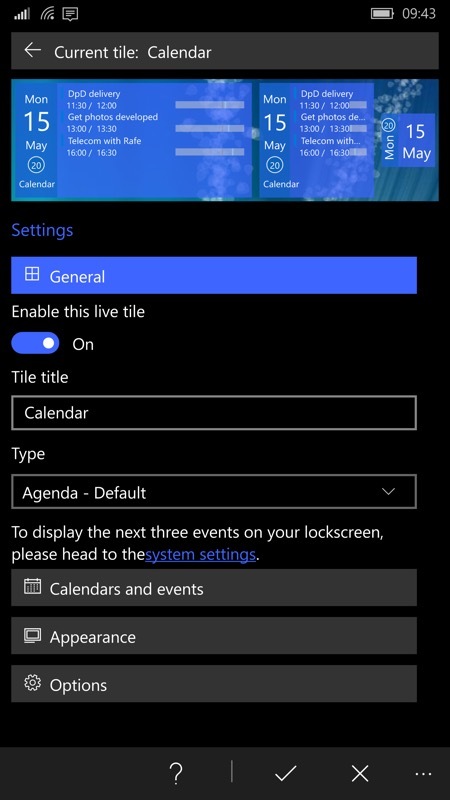 Picking your chosen live tile name under Settings, via the shortcut, puts three upcoming appointments on the lockscreen, a very nice enhancement; (right) the default live tile, with appointment details and a rough idea of where in your day they sit. There's definite potential here, with this utility potentially a life saver for someone with a very full schedule. 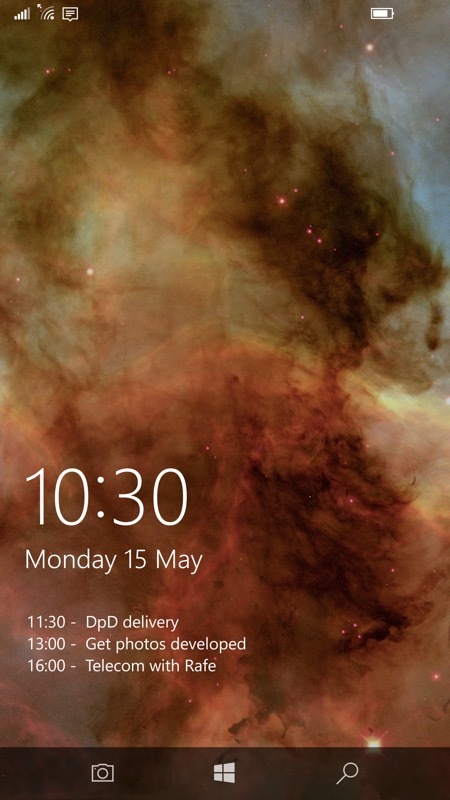 Heck, I'd pay the £1 purchase fee for the multi-event lockscreen 'details' alone. You can grab Tiles for Outlook here in the Store, there's a 7 day free trial.